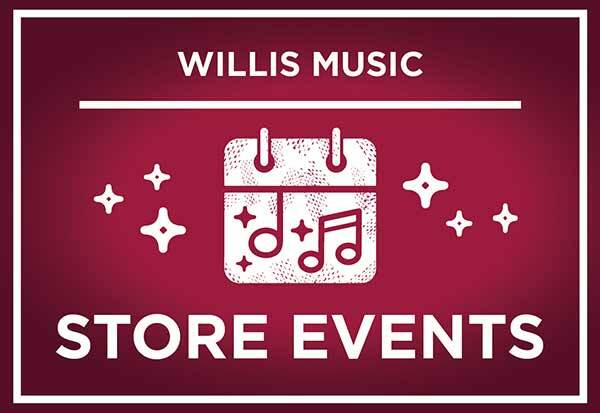 Willis Music 120th Anniversary party- Saturday April 6th 12 pm- 4 pm Free pizza and live music at every location! Free trial music lesson with the purchase of an instrument! In addition to the company events. Willis Music’s 120th Anniversary Party! Sunday, April 6th 12 pm to 4 pm. Free pizza and live music! 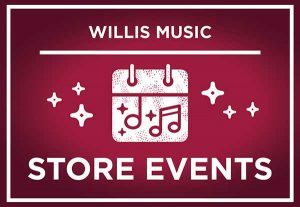 Willis Music closing early for our employee 120th anniversary celebration! Sunday, April 7th closing at 4 pm! Store renovations happening right now! Visit to see our progress! All month long some in and adopt one of our homeless guitar! Trade-In Tuesday-Sell/Trade your unwanted instruments! Sunday, April 7th closing at 3 pm!